“I never liked Shah Rukh Khan until I saw the movie Mohabbatein”. The year 2007. I entered college, placed my baggage, read the book ‘Five Point Someone’. With room-mates Tanmoy and Abhisek Kumar Nirala (Nirala, more preferably), our combination was pretty out of the place. While the two felt it was comfortable to communicate in Hindi, I could not speak the language but very well understood it. Anyways, this article is not about Tanmoy or Nirala (I will write about them later). This article is dedicated to a guy from Motihari in Bihar. 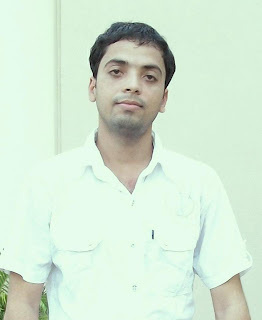 Rohit Kumar Mishra. Ask anybody in college (specially our immediate seniors and juniors) and they will tell you about Baba. That is how his friends called him. But I never called him Baba, because I never understood what qualified him for the name. Yea, I did ask our friends the reason but I was never satisfied with the reason. Our friendship dates back to the very first days of college and we struck an immediate chord. He called me Dada (yes, that’s how Bengalis are called everywhere). He had a Sony Ericsson mobile with songs from the nineties. There were about half a dozen songs in there that became my favourites. In the first year, we had the English Communication class. He knew little of English in the beginning and he was asked to speak on any topic by our English teacher, Leena Ma’am. He stood up, went forward and proclaimed to the class of forty-five students, “My best friend is Dada”. I was taken aback, pleasantly. What followed was a roar of laughter and a warning from the teacher to refrain from using the word ‘Dada’ and use ‘Samrat’ instead. He is a man of truth and highly daring. I can bet that nobody (who know him) can deny this. At least this is what I liked most about the guy. Later in the first year, something happened! We used to pull his legs with the name of this girl and then one day he revealed that he was in love with her. I am not going to take her name here. I don’t know if he ever made his feelings known to her or not; later he confided in me and said, “Main use kabhi pyaar nahi kiya, tu log mujhe karwa diya” [I never loved her but you guys instilled it in me]. :) :) :) Well, that’s how things happen in college! He used to frequently stand up against the bad food that was provided in the Hostel. He was the most daring of the lot and for his bravery he was awarded – he was expelled from the hostel. That’s how the management at DRIEMS is!!! Autocratic! However, he always maintained that Hostel was the best place for him (with the comfort that it offered) and he made it back to the hostel (as my room-mate). He ran from pillar to post and the victory was his. His never-say-die attitude is something that gave him the victory. Even Leena Ma’am once said, “Rohit, I know you can’t speak the language fairly but you are the only boy that gives his 100% when asked to speak”. Yes, I can guarantee he is now well-versed in the language. Bhojpuri babu, that’s how I would prefer to call him (though I never called him by that name); for he was proud of the Bhojpuri language and culture! Every step of his life from the way he talks to the way he dances show him as our very own Bhojpuri Superstar. How can I ever forget the University strike experience? We had all gathered to postpone the semester exams and then thanks to the ruckus created by some students, the police chased us with batons in their hands. Dibyendu successfully got through to a shop that was pulling down the shutters fearing trouble. Nirala, opened his chappal from his feet, took them in his hands and ran for his life. He was nowhere to be seen in seconds. And then there was poor Rohit. He tried to run hard but could not! I caught his hand and pulled him, shouting “Abe, jaldi chal, bhaag bhaag” [Run, faster]. During semester exams it seemed that Rohit loved books and studies and they seemed to be an inseparable part of his life. And whenever the semester got postponed (which is more of a norm if you are studying at BPUT), he used to pack his books, open his laptop and we would all have a screening of the movie ‘Mohabbatein’ together. This was more of a trademark for this guy. It was after watching this movie that he became a huge fan of SRK. The only guy who had the complete collection of Ramayana and Mahabharata (downloaded from YouTube). That is how he is! He is one guy who discovered the word ‘coalfield’, the meaning of which if you know is good, else let’s forget it !!! juz fatafati..make me remember of doz beautiful dayz of my life wh i left behind...thnx sam..love u all..n really mis d room no 226.n also d boild egg dat v shared 2gather,all d staff dat v have done in our hostel dayz..love u nirala n rohit..
reminded me of those lovely hostel dayz!! and btw the word was "KOLVIL" instead of 'coalfield" !! Dada i m adding 1 more point abt rohit uske pyar ko le kar...wo jitna pyar us din karta tha utna aaj bhi karta hai perhaps karta bhi rahega. Luv u all my ex-room mate. Thanks once again for giving me all that sweetest memories that i had with my college frnds like u and i m really missin that memories and i will never let it down till my end of my last breath.